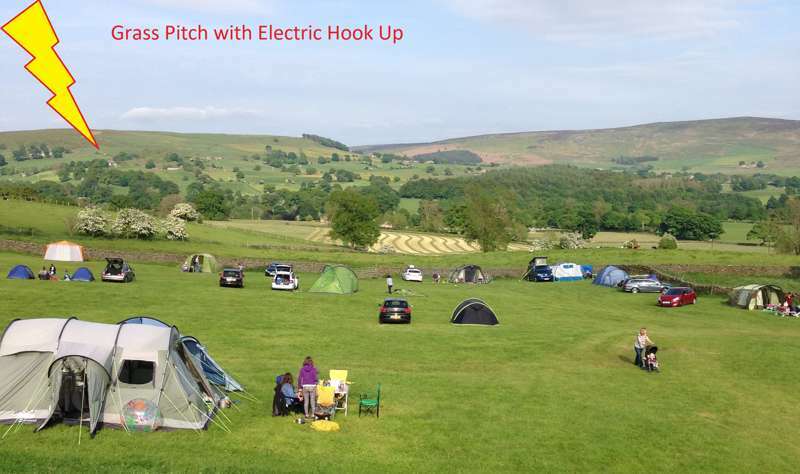 First opened as a temporary, tents-only campsite in 2014, Catgill Farm in the south of the Yorkshire Dales has made its name as a firm family favourite in the intervening years and burgeoned into a fully fledged camping and glamping Mecca. The simple, home-spun atmosphere of the farm still pervades – the ‘reception’ is the cosy front room of the farmhouse and marshmallows are sold from the door – but there are now electric hook-ups for campervans, bell tents with hot tubs hidden in the trees and even a trio of timber pods with all mod-cons inside. Set in the undulating meadows just outside the village of Bolton Abbey, it’s no surprise that Catgill Farm has seen so much success. The hospitality (and local knowledge) of owners Oliver and Janet knows no bounds, while the modern wash block facilities are a godsend for families with muddy children. But it’s the setting that really completes the place. All around the sloping hills of the Wharfe Valley entice walkers and mountain bikers from their tents, while, just a few metres away, Hesketh Farm Park offers tractor tours, animal feeding and a chance to learn about farming for the kids. Bolton Abbey village, meanwhile, is a 15 minute stroll down the lane and has a busy tea rooms and a volunteer-run railway that has its very own Thomas the Tank Engine, while the 12th-century ruins of Bolton Abbey Priory are an absolute must-see, with a perfect, riverside picnic spot in the priory grounds. 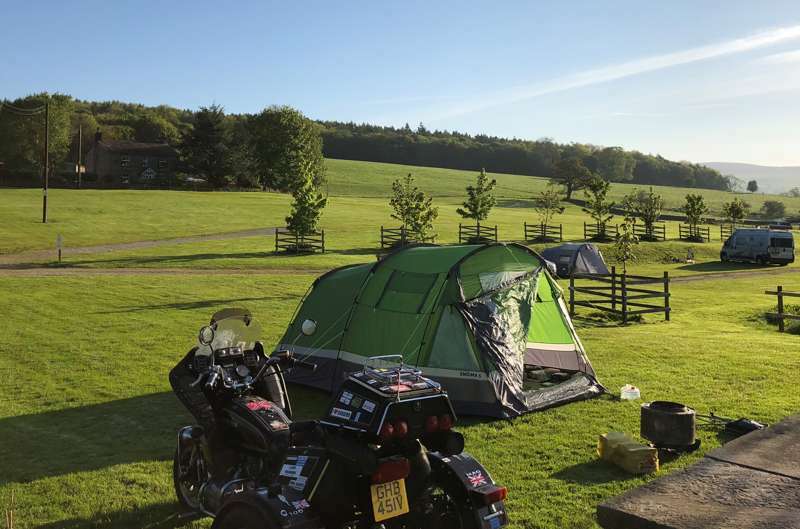 In short, if you want a proper, on-the-farm, Yorkshire campsite with plenty to do nearby, you can’t really ask for much better. The camping meadow itself can handle around 160 tents at any one time, with natural lumps and bumps causing people to generally pitch together in flat groups, while children capitalise on the open spaces to play. On the edge of the woods just beyond the meadow, the glamping accommodation is found. 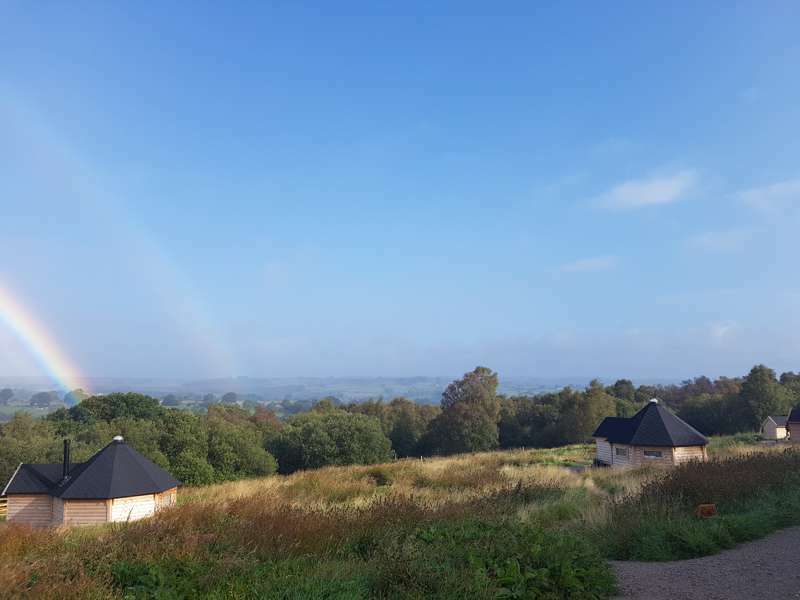 Pods, each sleeping six, offer an almost holiday cottage experience – think en-suite shower room, compact kitchen, a television and Wi-Fi – yet still boast the views and campfire-side evenings that every camper yearns for. Bell tents, meanwhile, keep things strictly under canvas but still boast the same main attraction as the pods – private wood-fired hot tubs for evenings bubbling beneath the stars. It’s a far cry from the rustic camping days of old! For campers and glampers alike there are certain luxuries in common: It’s a 15-minute walk along a footpath to the Devonshire Arms (“The Dev” as Janet and Oliver call it), with outdoor seating, good food and local beers. In the opposite direction, the Yorkshire Dales Ice Cream Factory is a half-hour stroll away. And, of course, if that sounds like too many calories the real luxury is healthy and free to everyone: the Dales Way footpath stretching just beyond the farm and miles upon miles of the Yorkshire Dales beyond. Adults £10–£12; children (3–16 years) £5–£7 and under-3s free. Pods from £130 per night. Bell tents from £100 per night.